Tim Holtz Idea-ology LONG FASTENERS Brad Hardware TH92703 at Simon Says STAMP! TH92703 /1.0 This item is on reserve until If you would like to reserve this item now, you may purchase it now with the rest of your order. We will hold your order now and ship your entire order as soon as this item is back into stock. If you would like your order to ship now, please place this item on a separate order. 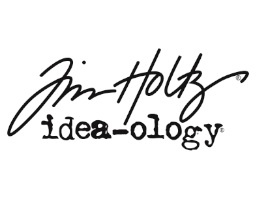 Success, Tim Holtz Idea-ology LONG FASTENERS Brad Hardware TH92703 has been shared! A Brad With A Longer Post! Tim Holtz has designed these fabulous embellishments! These Long Fasteners have the same mini head as other brads, but a longer post so you can attach dimensional objects and grungeboard to your projects and not just paper. The Long Fasteners measure approximately 0.43 inch. The package includes 99 fasteners (33 of each antique finish - nickel, brass, and copper).